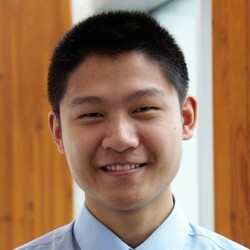 Osbert Yu is a 2nd year chemical and biological engineering student at UBC. He is often found in the supermarket reading nutrition labels to discover the specific chemicals we are ingesting in our daily lives. This interest is what brought him to join the Junior Chem-E-Car Lab Team. He is currently creating a reliable stopping mechanism for the chemical-powered car by exploring various clock reactions with others.